My name is Christian Horsdal. I'm an independent consultant working with clients as an architect, consultant and developer. Through my work with clients I've gained extensive experience in architecting and implementing real solutions to real problems, based on the business, the functional requirements and the non-functional requirements. I'm an expert .NET architect and developer who mixes and matches commercial, open source, and tailor made components in a quest to create simple and lean solutions that allows for quick and agile development. "Christian is one of the developers I would very much like to work with again. I had the pleasure to work on a team with Christian for about a year. Christian have an incredible strong technical background combined with a very pleasant personality. I had a lot of great discussions with Christian about both technical details and team dynamics and I always felt I gained from them, most often in the form of insights or directions on how to solve problem the best possible way. He always strive to make the best possible solution for a given task and never cut corners. Even though he is most often right when discussing technical issues, he is never afraid to take suggestion from others when they have better solutions. I most definitely felt I was a better developer after working with him and I’m convinced he will add a lot of value on any team he is a part of. I hope I’ll work with him again some day"
"Christian is an extremely knowing and resourceful software developer and architect. He Is always calm and very good at keeping an overview of any situation, even under pressure. He delivers good results both as an individual and thrive others. He facilitates technical session in an inclusive way for other attendees. He has great technical and people skills, and I would love to work with Christian in the future again." "I had the pleasure of working together with Christian for nearly a year. Christian is a very skilled full stack developer which is very well versed in in all aspects of software development. As a senior developer/architect he is an example to follow in nearly all aspects of software development, being theoretically strong, precise, methodically, and has a good way of keeping calm even when the pressure is on. I give Christian my warmest recommendations." 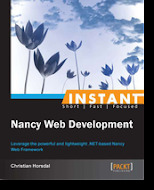 "Christian has been an central contributor to our internal .NET developer academy strengthening the software craftsmanship skills of our around 60 .NET developers within such diverse topics as Design Patterns, Clean Code, Functional Programming and how to work efficiently with legacy code. Throughout his theoretically strong teachings he has been very flexible and encouraged continous feedback between each module allowing us to improve the custom-made materials based upon the participants feedback, reworking both presentation, sourcecode and slide decks to make the learning experience even better for those participants who'd attend the next session. It has been a pleasure working with Christian. He is very 'down to earth', skilled and eager to improve himself all the time." "Christian is a dedicated, structured and methodical software architect. He knows his software craftmanship better than most. Christian is a perfect match if you want strong technical insight combined with a humble and easy going attitude. He can work with anyone and furthermore, when Christian speaks, people listen with interest, because he knows what he is doing. I give him my warmest recommendations." "Christian is an extremely dedicated and accomplished software developer and architect. I had the pleasure of being Christians manager for 6 years, and to oversee the projects he participated in. Christian is a natural leader and he invariably puts his deep technical knowledge and his excellent people skills to work to contribute significantly to the success of his projects." "Christian is an excellent Software Architect and a phenomenal developer. His technical knowledge is profound, and his thirst for learning is unending. I have had the pleasure of working with Christian at Mjølner Informatics. He is always eager to discuss, collaborate and share knowledge about anything software related. He is a good sparring buddy, and an allround great guy"
"Christian har arbejdet som arkitekt på et af Kamstrups udviklingsprojekter. Han har vist sig som teknisk meget kompetent, god til at prioritere og til at omsætte intentioner til handlinger. Christians samarbejdsevner og gennemslagskraft gør at han skaber fine resultater." "Christian is a very creative web developer with high grasping power in understanding the business requirements which enables him in developing solutions of very high standards. I really appreciate his professional, personal and social attitude towards his assigenments. I am happy to recommend him, and wish him very best for all his future aspirations." "Christian is a very good software architect, who also knows how to code. 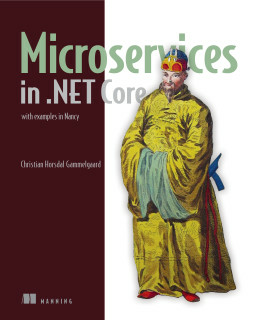 He has a very broad knowledge of .net and it's different frameworks, which he uses to create solutions that fits the customer's needs. It has been an absolute joy to work with Christian." "During my time as a project manager and software engineer at Mjølner Informatics, I had the pleasure to work closely together with Christian. Christian was a very great intellectual and practical asset in an important phase of the project that I was managing. Christian possesses excellent analytical and technical skills in software engineering and software architecture and he also works well under tight deadlines. Christian’s great interpersonal and communication skills, naturally makes him a key team-player and I would also strongly recommend him for any leading position in challenging and complex software projects." "Christian is one of the best technicians I have worked with. Aside from strong technical skills, he has an excellent overview and understanding of the problem he is solving. But what makes him stand out most from other technicians is his ability to communicate effectively and efficiently… and his great sense of humor! He is a natural leader who I would take the pleasure in working with again in the future."